So I am on the cusp of trying something new… actually I have commenced the trying but in typical ‘me’ fashion I am dipping my toe in rather than jumping straight into the deep end! 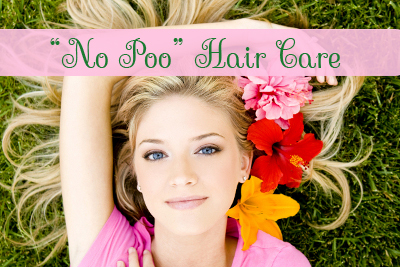 I’m not a fan of the name of what I’m doing, but I’ll call a spade a spade… I am going NO POO! i mean – look how happy she looks! What this means is I am basically cutting out shampoo from my hair care regime… I am told (from research) that I will be happy with the results and my locks will be oh-so-wonderful…. ONCE I get over the “transition phase”. Don’t get me wrong, like most things one researches there was both pros and cons for trying this method but at the end of the day I have decided that really, what have I got to lose? So WHAT am I using? I am using a Bicarb soda (1 tablespoon) + water (1 cup) concoction that I keep in a spray bottle in the shower and use instead of shampoo. To condition I am using apple cider vinegar (2 tablespoons) + water (1 cup). Of everything that I read regarding this method, I was told that I may have to ‘tweak’ it to suit my own hair needs. As my hair is curly and gets SUPER tangled (because I only ever comb it when its wet) I have already ‘tweaked’ it and BEFORE I do the apple cider vinegar + water creation I am actually cheating applying a smmmalll amount of conditioner to my ends and mid-lengths so I can comb my hair after I wash it. Anyway – what with me now back at work but only 3 days week and all the stuff that we needed to buy for baby + bills etc I started looking at areas I could cut costs (whilst still maintaining other stuff)… the no poo thing seemed a far, FAR cheaper option! So I mulled it over, and mulled it over some more. Then did some research, watched some you tube video’s, did more research, mulled even more and watched even MORE You Tube video. Enter a week ago and I am sitting at home and out of nowhere I finally decide that I am giving it a go! Anyway – I’ll keep you up to date on the progress and if it’s worth the go!